” Accordingly, the ATF scrambled two Nigerian Air Force (NAF) Alpha Jet aircraft to attack the location. 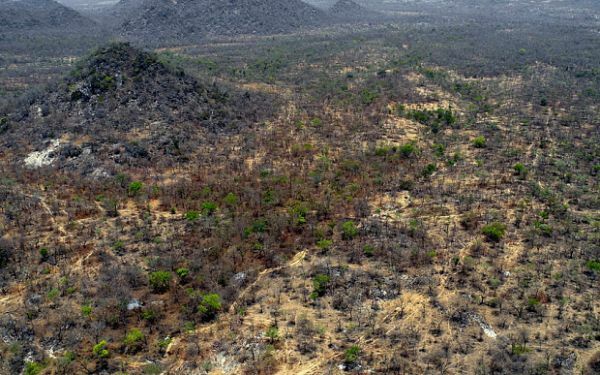 ” Overhead the target area, several structures and vehicles were seen camouflaged under the thick vegetation of the Forest, with significant human activity observed within the area. “The attack aircraft recorded direct hits on the target area resulting in the destruction of several structures and neutralisation of some BHTs,” he said. Daramola added that the terrorists, who survived the bomb strikes, were seen fleeing the area. The spokesman said the criminals were mopped-up in follow-on attacks. Also troops of Operation Egwu Eke III, also known as Operation Python Dance 3, have rescued two kidnap victims around Owerrinta general area of Abia. Col. Sagir Musa, Deputy Director Public Relations of 82 Division of the Nigerian Army, made this known in a statement in Enugu on Tuesday. Musa said that based on a distress call at about 5 p.m. on Jan. 22 that alerted troops of a kidnap incident at Ubakala Junction along Owerrinta general area of Abia, troops of Sector 2, Sub-sector Charlie successfully cordoned and searched the area. “Consequently, the kidnappers abandoned their victims – Mrs Loveth Nonye Ofoegbu and Mr Kaodi Onuaha. “The rescued persons have been handed over to the Police Command in Abia for further actions,’’ he said. He also said that following credible information, troops of Sector 2, Sub-sector Alfa, at about 2:30 a.m. on Jan. 24 raided a hideout of suspected armed robbers in Ahaba Imenyi community of Isuikwuato Local Government Area of Abia. The army spokesman said that a suspect, Mr Chidiebere Orji, was arrested while others were at large.